April 4, 2016, 2:04 p.m.
Sunday’s report of the Panama Papers detailed a global, decades-long story of bribery, arms deals, tax evasion, and financial fraud that implicates over 100 politicians and public officials. Equally impressive, however, is the project itself, which was kept secret for nearly two years despite the involvement of hundreds of reporters. Here are some details about how the project came together. — It was indeed a major leak. The entire document set, which consists of data going back 40 years, came in at 2.6 terabytes — the largest that reporters have ever had to work with. It’s a thousand times larger than even the 2010 WikiLeaks Cablegate leak, totaled a mere 1.73 gigabytes. In total, the Panama Papers leak consisted 11.5 million files, including 4.8 million emails, 1 million images, and 2.1 million PDFs. — The process was high tech. The process started way back in 2014, when an unknown source contacted a reporter at German newspaper Süddeutsche Zeitung via encrypted chat, as Wired reports. Later, to process the millions of leaked, developers from The International Consortium of Investigative Journalists built a custom search engine, which the group shared with partner news organizations around the world. The effort also included a real-time chat system for reporters to talk to each others, algorithms that searched for links between names mentioned in the leaked documents, and software that converted raw data into digital formats. — It was a group effort. While Süddeutsche Zeitung was the initial recipient of the leaked documents, the newspaper didn’t analyze them alone. Working with the ICIJ, the organization tapped teams at France’s Le Monde, Argentina’s La Nación, Switzerland’s Sonntagszeitung, and the U.K.’s Guardian and BBC. In total, over 400 reporters across organizations worked on the project. — Few U.S. outlets were involved. While over 100 news organizations across the world analyzed the Panama Papers, besides the Washington D.C.-based ICIJ, just a small handful of the partner organizations were based in the United States: McClatchy’s Charlotte Observer and Miami Herald, Univisión, and Fusion. (Columbia professor Giannina Segnini is also working with the documents, along with five of her j-school students.) None of The New York Times, The Washington Post, and The Wall Street Journal featured coverage of the Panama Papers on their front pages. That the Panama Papers aren’t on P1 of the NYT, WP, or WSJ today illustrates journalism’s “not found here” principle. — The ICIJ doesn’t plan to release the full set of documents. Unlike WikiLeaks, which dumped its entire set of Cablegate documents on the web for anyone to see, the ICIJ says it doesn’t plan to do the same with the Panama Papers. “We’re not WikiLeaks. We’re trying to show that journalism can be done responsibly,” ICIJ director Gerard Ryle told Wired. People keep talking about releasing the full #panamapapers dataset, but if they contain (lawful) financial data, that seems impossible. Bilton, Ricardo. "Here’s how over 400 journalists at dozens of news orgs reported out the massive Panama Papers story." Nieman Journalism Lab. Nieman Foundation for Journalism at Harvard, 4 Apr. 2016. Web. 19 Apr. 2019. Bilton, Ricardo. "Here’s how over 400 journalists at dozens of news orgs reported out the massive Panama Papers story." Nieman Journalism Lab. Last modified April 4, 2016. 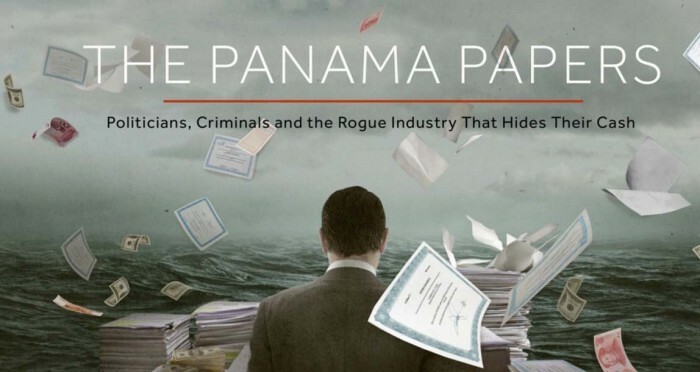 Accessed April 19, 2019. https://www.niemanlab.org/2016/04/heres-how-over-400-journalists-at-dozens-of-news-orgs-reported-out-the-massive-panama-papers-story/.